Former President of Ghana, John Kufor was among the eminent personalities for good governance at the Special Convocation Ceremony of the Kwara State University (KWASU) in Ilorin on Wednesday. 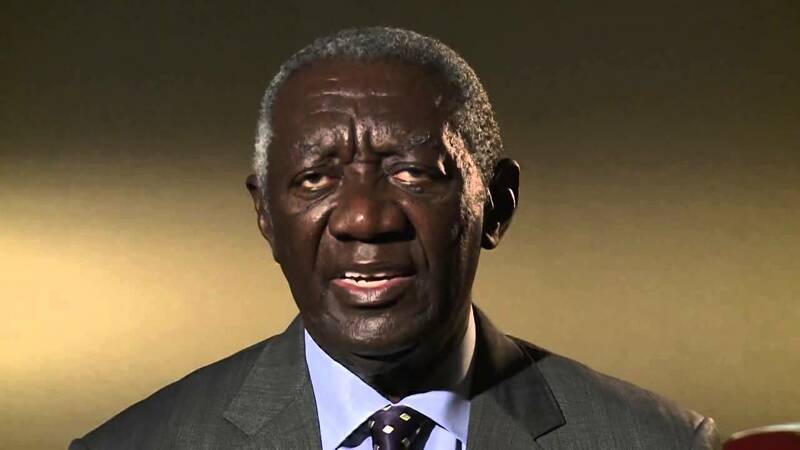 According to the News Agency of Nigeria (NAN) and Businessday New, John kufuor has disclosed that 33% of African countries is suffering from acute poverty and socioeconomic imbalance due to poor leadership and bad governance. Kofuor who received award of honorary degree lamented that the hardship posed on African children leads to about five million of deaths who die of hunger daily in every ten minutes. He also identified poor foundation, lack of rapid mobility, unprecedented levels of unemployment among youths, poor governance, globalization, dictatorship and impunity as factors undermining development of African countries. “Climate constitute danger to the entire planet, the world has turned into a global village, African stand at disadvantaged because they were not fast at technology. “Africans need to tap on geographical advantage, serious guide on how climate work well for the benefit of citizens, ensure enlightened leaders are given chances to rule and the leaders should serve their people and countries well by allowing things to work accordingly,” he added.